Rector Creek Vineyard is located north of Yountville along the Silverado Trail. A unique climate, combined with Rector Creek’s rocky alluvial soils, creates excellent growing conditions for the vines. The 39-acre site is planted with Merlot, Cabernet Sauvignon, Zinfandel, Petit Verdot and Cabernet Franc. The wines from this vineyard exhibit abundant dark red fruit characteristics including black raspberry, with hints of strawberry. 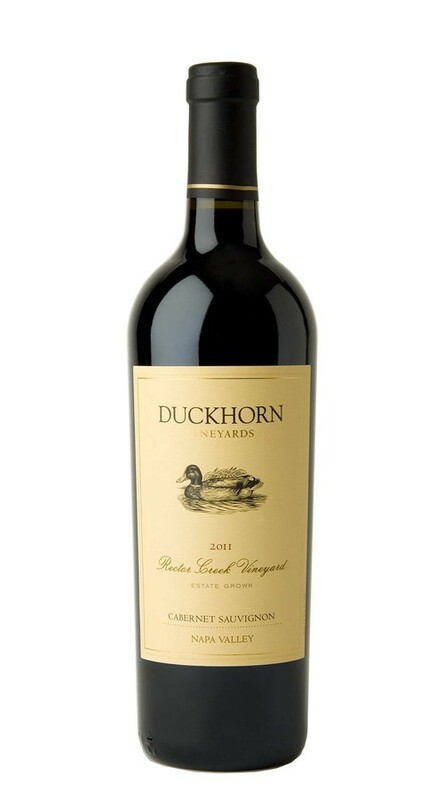 From its firm, age-worthy structure to its gorgeous aromas of chocolate-covered cherries, blueberry, violet and marjoram, this is an elegant and enticing Cabernet. On the palate, the red fruit notes shine with abundant flavors of wild ripe strawberry and raspberry, as well as hints of graphite and cassis. Enormous red fruit upon opening, to the point of overpowering everything else other than some herbal flavors. Corked back up after 1 glass, put back in the wine fridge and waited a day where by then the fruit had calmed down and the wine was much much better and in better balance. Still plenty of red fruit but not to the point where it was overpowering. Definitely needs a lot more time. Rating based upon 1 day after being popped.